Chrissy Arpie Ott is the founder and CEO of The Perfect Palette, a wedding resource dedicated to helping couples find the perfect color palette for their wedding day. Since its launch in 2008, The Perfect Palette has been the go-to color resource for couples who dream of a unique, creative, and colorful wedding day. My job is dedicated to helping engaged couples think creatively when it comes to color and event design, so it’s safe to say that I’ve witnessed my fair share of wedding color mistakesover the years. So, I thought it might be helpful for BG brides if I compiled the most common pitfalls and how to avoid them. Let’s dive right into it! 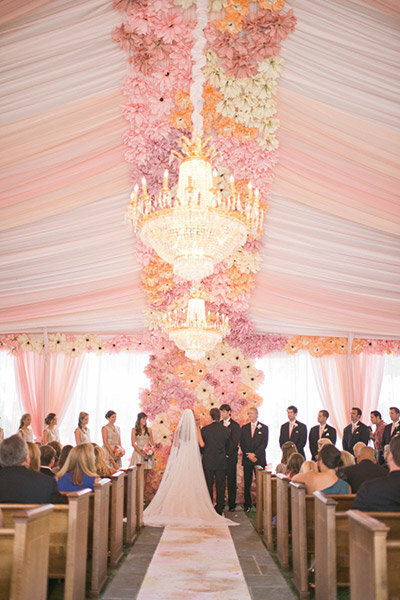 When deciding on your color palette, I urge you to seriously consider the reception space. For instance, if you’ve chosen a reception area with burgundy and gold carpets, a color scheme of lime green and fuchsia will surely clash, and there’s really no way around it. The solution: I suggest using the venue’s décor to help guide your color palette choices. Or, you could simply choose a space that lacks a lot of color so that you don’t have to worry about a potential clash. Color can be subjective — your idea of vibrant coral blooms might not be exactly what your florist shows up with on the day of the wedding. Are you okay with the fact that what you thought would be a coral bouquet might turn out to be baby pink? Some couples wouldn’t let this bother them, and if you fall into that category, then more power to you! But simply put, some brides would really have a problem if their dream blooms ended up totally clashing with the overall look. The solution: Request that your florist put together a “test” bouquet and centerpiece. That way, you know that you’re on the same page when it comes to color and there won’t be any surprises on your big day! In my opinion, selecting your wedding colors is one of the most exciting parts of the planning process because they set the tone for your entire celebration. However, if you don’t decide in a timely manner, be prepared to potentially find yourself scurrying around in a desperate attempt to find items that will match or coordinate. This can be especially true if you’ve chosen a more unique color palette. The solution: Give yourself a deadline! At some point in the dreaming period (as I like to call it), you have to start putting those dreams into action and without a color palette, not much can get accomplished. Here’s what happens: you decide that you want a pale pink wedding, so you select a pale pink bridesmaid dress for all of your friends to wear. Then, without thinking, you turn around and order the same color bouquets. If you don’t take variation into consideration, then you can expect to create a flat look that lacks interest and pizzazz. The solution: Keep contrast in mind when selecting your attire, invitations, table linens and more. Think about the big picture and note that each of these layers should not all be the Same. Exact. Color. A few varying shades will go a long way! Sadly, this happens a lot! The truth is that not every color is a great pick when it comes to dressing your bridal party. Some hues wash some people out while others simply aren’t flattering on anyone. The solution: When selecting a bridesmaid dress, consider the varying skin tones and body shapes of your favorite ladies. For instance, not everyone is going to be able to rock a cocktail-length dress in chartreuse. Take your girls to the bridal shop and narrow down a color that complements the majority of your attendants. I promise that your friends will thank you! Tell us: What colors did you choose for your big day? 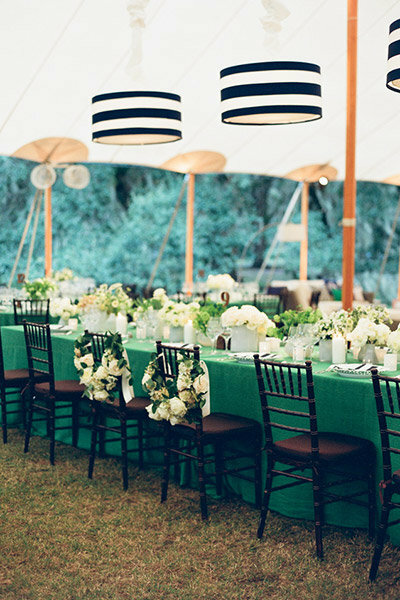 If you’re still unsure, take a peek at 10 Wedding Color Palettes That Aren’t Boring.